One of the tragic side effects of being victimized is that we can become vulnerable to the need to validate our experience in larger stories reported in the news. These media mythologies, embraced and encouraged by advocacy groups, soon become tied to an issue whether it is accurate or not. If we are ever going to address bullying in schools and workplaces we need to be able to identify what bullying is — and, more importantly, what it is not. Abusing others is morally wrong and the devastating impact on victims should preclude any other need for justification. Their rampage put schools on alert for “enemies lists” made by troubled students, but the enemies on their list had graduated from Columbine a year earlier. Contrary to early reports, Harris and Klebold weren’t on antidepressant medication and didn’t target jocks, blacks or Christians, police now say, citing the killers’ journals and witness accounts. That story about a student being shot in the head after she said she believed in God? Never happened, the FBI says now. A decade after Harris and Klebold made Columbine a synonym for rage, new information — including several books that analyze the tragedy through diaries, e-mails, appointment books, videotape, police affidavits and interviews with witnesses, friends and survivors — indicate that much of what the public has been told about the shootings is wrong. In fact, the pair’s suicidal attack was planned as a grand — if badly implemented — terrorist bombing that quickly devolved into a 49-minute shooting rampage when the bombs Harris built fizzled. “He was so bad at wiring those bombs, apparently they weren’t even close to working,” says Dave Cullen, author of Columbine, a new account of the attack. So whom did they hope to kill? What’s left, after peeling away a decade of myths, is perhaps more comforting than the “good kids harassed into retaliation” narrative — or perhaps not. It’s a portrait of Harris and Klebold as a sort of In Cold Bloodcriminal duo — a deeply disturbed, suicidal pair who over more than a year psyched each other up for an Oklahoma City-style terrorist bombing, an apolitical, over-the-top revenge fantasy against years of snubs, slights and cruelties, real and imagined. Along the way, they saved money from after-school jobs, took Advanced Placement classes, assembled a small arsenal and fooled everyone — friends, parents, teachers, psychologists, cops and judges. Harris, who conceived the attacks, was more than just troubled. He was, psychologists now say, a cold-blooded, predatory psychopath — a smart, charming liar with “a preposterously grand superiority complex, a revulsion for authority and an excruciating need for control,” Cullen writes. Harris, a senior, read voraciously and got good grades when he tried, pleasing his teachers with dazzling prose — then writing in his journal about killing thousands. When he wasn’t, he mixed napalm in the kitchen . As he walked into the school the morning of April 20, Harris’ T-shirt read: Natural Selection. Klebold, on the other hand, was anxious and lovelorn, summing up his life at one point in his journal as “the most miserable existence in the history of time,” Langman notes. Harris drew swastikas in his journal; Klebold drew hearts. As laid out in their writings, the contrast between the two was stark. Harris seemed to feel superior to everyone — he once wrote, “I feel like God and I wish I was, having everyone being OFFICIALLY lower than me” — while Klebold was suicidally depressed and getting angrier all the time. “Me is a god, a god of sadness,” he wrote in September 1997, around his 16th birthday. Klebold also was paranoid. “I have always been hated, by everyone and everything,” he wrote. On the day of the attacks, his T-shirt read: Wrath. Columbine wasn’t the first K-12 school shooting. But at the time it was by far the worst, and the first to play out largely on live television. The U.S. Secret Service and U.S. Education Department soon began studying school shooters. In 2002, researchers presented their first findings: School shooters, they said, followed no set profile, but most were depressed and felt persecuted. The Secret Service found that school shooters usually tell other kids about their plans. 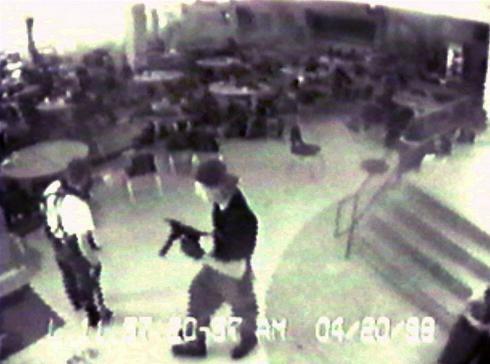 At the time, Columbine became a kind of giant national Rorschach test. Observers saw its genesis in just about everything: lax parenting, lax gun laws, progressive schooling, repressive school culture, violent video games, antidepressant drugs and rock ‘n’ roll, for starters. Many of the Columbine myths emerged before the shooting stopped, as rumors, misunderstandings and wishful thinking swirled in an echo chamber among witnesses, survivors, officials and the news media. A few inaccuracies took hours to clear up, but others took weeks or months — sometimes years — as authorities reluctantly set the record straight. In one case, county officials took five years just to acknowledge that they had met in secret after the attacks to discuss a 1998 affidavit for a search warrant on Harris’ home — it was the result of a complaint against him by the mother of a former friend. Harris had threatened her son on his website and bragged that he had been building bombs. Police already had found a small bomb matching Harris’ description near his home — but investigators never presented the affidavit to a judge. They also apparently didn’t know that Harris and Klebold were on probation after having been arrested in January 1998 for breaking into a van and stealing electronics. The search finally took place, but only after the shootings. What’s now beyond dispute — largely from the killers’ journals, which have been released over the past few years, is this: Harris and Klebold killed 13 and wounded 24, but they had hoped to kill thousands. The pair planned the attacks for more than a year, building 100 bombs and persuading friends to buy them guns. Just after 11 a.m. on April 20, they lugged a pair of duffel bags containing propane-tank bombs into Columbine’s crowded cafeteria and another into the kitchen, then stepped outside and waited. Had the bombs exploded, they’d have killed virtually everyone eating lunch and brought the school’s second-story library down atop the cafeteria, police say. Armed with a pistol, a rifle and two sawed-off shotguns, the pair planned to pick off survivors fleeing the carnage. As a last terrorist act, a pair of gasoline bombs planted in Harris’ Honda and Klebold’s BMW had been rigged apparently to kill police, rescue teams, journalists and parents who rushed to the school — long after the pair expected they would be dead. The pair had parked the cars about 100 yards apart in the student lot. The bombs didn’t go off. Since 1999, many people have looked to the boys’ parents for answers, but a transcript of their 2003 court-ordered deposition to the victims’ parents remains sealed until 2027. The Klebolds spoke to New York Times columnist David Brooks in 2004 and impressed Brooks as “a well-educated, reflective, highly intelligent couple” who spent plenty of time with their son. 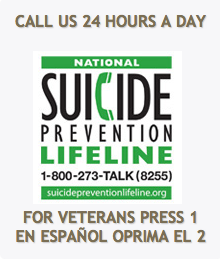 They said they had no clues about Dylan’s mental state and regretted not seeing that he was suicidal. Could the parents have prevented the massacre? The FBI special agent in charge of the investigation has gone on record as having “the utmost sympathy” for the Harris and Klebold families. “They have been vilified without information,” retired supervisory special agent Dwayne Fuselier tells Cullen. Cullen, who has spent most of the past decade poring over the record, comes away with a bit of sympathy. He got a good look at the boys’ writings only in the past couple of years. Among the revelations: Eric Harris was financing what could well have been the biggest domestic terrorist attack on U.S. soil on wages from a part-time job at a pizza parlor. “One of the scary things is that money was one of the limiting factors here,” Cullen says. Had Harris, then 18, put off the attacks for a few years and landed a well-paying job, he says, “he could be much more like Tim McVeigh,” mixing fertilizer bombs like those used in Oklahoma City in 1995. As it was, he says, the fact that Harris carried out the attack when he did probably saved hundreds of lives. This entry was posted in bullying, definitions, New Approaches, Uncategorized and tagged bullying, Columbine High School, Eric Harris and Dylan Klebold, School shooting, workplace bullying by bullyinworkplace. Bookmark the permalink.